Welcome to the website of the book "Unlawful Flight", a true story. They are attempting to get the rights optioned. Visit www.drphil.com/shows/show/1132 to read about the show. Then check out the show's message boards, over 95 pages long. Stores can order copies of "Unlawful Flight" from Pathway Book Service. Just call 1-800-345-6665. Glen and his family wish to thank everyone involved in this story for their help; many risked their careers and even prison time by helping them stay together. This is a true story of how one father had no choice but to take his two children and go on the run.What they find along the way will surprise you, but what they go through to stay together will simply amaze you. From handcuffs to happiness, this story is proof that all obstacles can be overcome with love, faith in God, trust in fellow man and a desire to be together. When reading this book you will laugh and cry; You will feel fear and joy, love and hate and after reading Unlawful Flight we believe that your faith in God and fellow man will be strengthened! 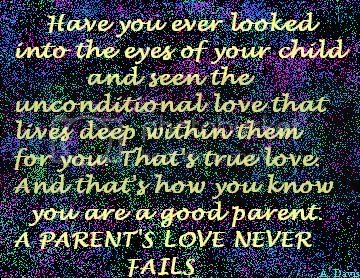 We do not encourage or condone parental kidnapping or Parental alienation in any way. Estimates range from 200,000 to 350,000 children are taken each year by a parent or other family member. for the love of our children, It has to stop. Our story is bringing attention to this nightmare and hopefully change will follow. No parent should ever have to kidnap the children again! The true story of a father who picked up his two children for a long awaited weekend visitation and NEVER brought them back. Read about why he had to take them and how they disappeared from Ohio and started on a journey that only God could have orchestrated. This amazing book is written by that father and tells all. Go along with them as the author and his children disappear and begin a new life together and in the process unexpectedly find the true meanings of love, strength, compassion and goodness as shared between them and shown them by so many of the people that they meet along the way. Be there with them when Glen is apprehended by the F.B.I. and the U.S.Marshal's. But they could not find the children because teachers and friends jeopardized themselves and hid them! A battle that would last for ten years was just beginning! Click on any picture below to view the photo album. The children before the breakup. Before the split in 1981.